Everyone who’s been and those who still long to go, will agree that Sri Lanka is one of the most interesting places to travel around. History and culture can often be boring on paper, but witnessing thousands of years of it through your own eyes and experiences (and not the museum type…), is something unforgettable, especially in a country with such a long story. The country recently saw an end to 30 years of civil war and the people you meet will not have forgotten that, nor the devastating tsunami of 2004. More intriguingly witnessed in buildings and on roads, about 400 years ago, the Portuguese, then Dutch, then British colonised this country – and every bit of that will be obvious on your journey around this place. I learnt so much here, including the inspiring story of tea maker Lipton who was an impressive self-made multi-millionaire and businessman known for his strengths in marketing! Of course, food comes first. I read and heard a lot of advice to not stay in Colombo at all – I agree and disagree – because the city is where the good food is! At Hotel de Pilawoos, I was expecting something fancy in a hotel, but it turns out “hotel” confusingly just refers to “restaurant” in Sri Lanka, most of the time. 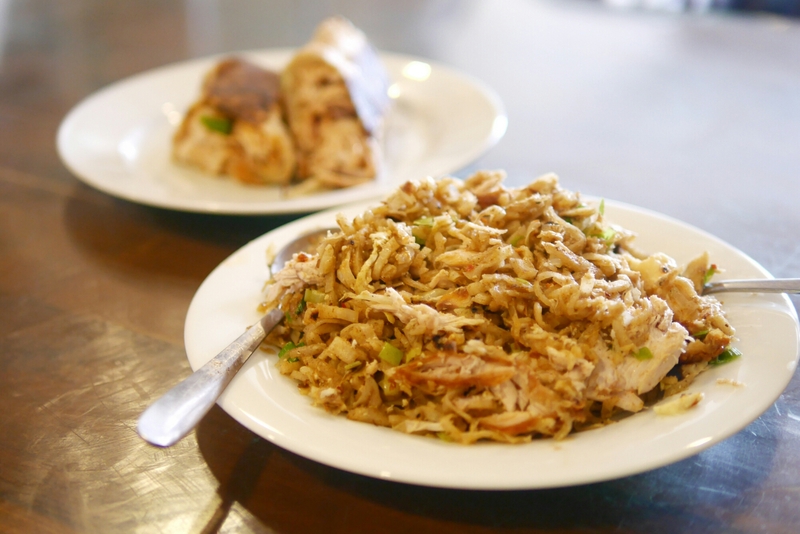 We had the cheese rotthu: chopped up pieces of rotty (think chewy savoury pancake) mixed with veggies, chicken and cheese; and chicken rotty: like a Sri Lanka burrito! The rotthu is highly recommended – it’s full of spices and flavour and we didn’t find another as good as this one throughout our trip. Ayurveda is an ancient medicinal system, using herbal and organic treatments and Spa Ceylon (stores in Colombo & Galle) leverages on this traditional concept and provides extremely relaxing treatments at an extremely reasonable price – about LKR 8000/HKD480 for 90 minutes. I was so impressed, I bought a bag full of their massage oils and other products home! We also tried the Six Senses spa in Heritance Kandalama (Dambulla) which also uses similar treatments and it was equally good, although the location is remote and prices are much higher. The Gallery Cafe is inside of renowned Sri Lankan architect, Geoffrey Bawa’s former office and the site itself is reason to stop by. But more importantly for me, were their desserts. The fact that there were over 40 unique choices, was a calling that I must try something. 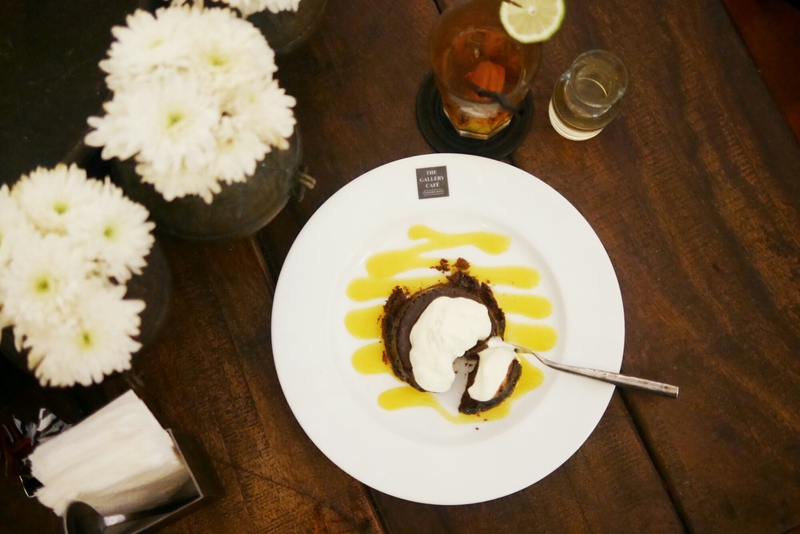 The waiter confidently and assertively recommended the Chocolate Nemesis – it was a lightly baked rich chocolate mousse which kind of tastes like a fluffy brownie on a tart base and refreshingly contrasted by a peach coulis. I can’t believe Sri Lanka is where I had the best chocolate dessert ever. Things here are however quite overpriced for the country. My dessert cost about LKR800/HKD48. Sigirya is believed to be an ancient palace and the massive elevated structure is much more overwhelming in person. Of course, as you could expect, the view from the top is also beautiful. Despite how big it looks, the ascent was relatively painless, since much of the way was shaded by the huge rock. We picked up a bag of cashews as we bought two bottles of water beforehand. Although you’d expect them to be cheaper (LKR1200/HKD72 per 300g), they were big, fresh and crispy – worth every rupee! 1. The obsolete Ceylon Tea Museum (Kandy) where you get a tour around how tea is made and learn the stories of Lipton and Taylor. Nobody is actually making tea here though. 2. Storefield tea factory (Gampola) where you witness the tea making with traditional methods and machines from the 1930s (still working!). 3. 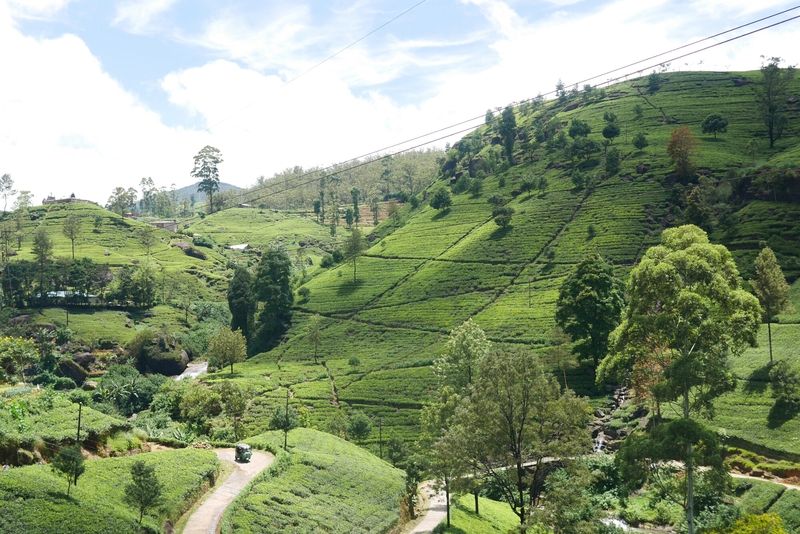 Mackwoods (Nuwara Eliya) also do tea tours but we came here mainly for photos of their beautiful tea plantation area. Before even entering the Uda Walawe National Park, we were greeted with dozens of peacocks hanging around beside the roads. Never had I seen so many peacocks, nor peacocks out of the zoo. This park is supposedly the closest thing to East African safaris, although I’ll need to visit Africa to see for myself! 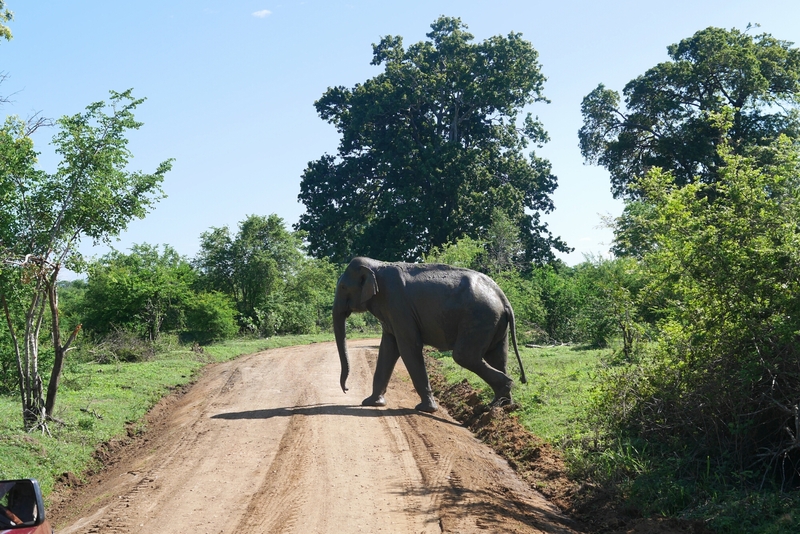 Our hotel (Elephant Trails) was probably the most expensive one in the area, but the wildlife meant that bugs, flies and mosquitos were inevitable – even inside our sheets (eek). But watching evil crocodiles waiting for their prey and an elephant charging at our jeep, was all worth one night of bad sleep and bugs. 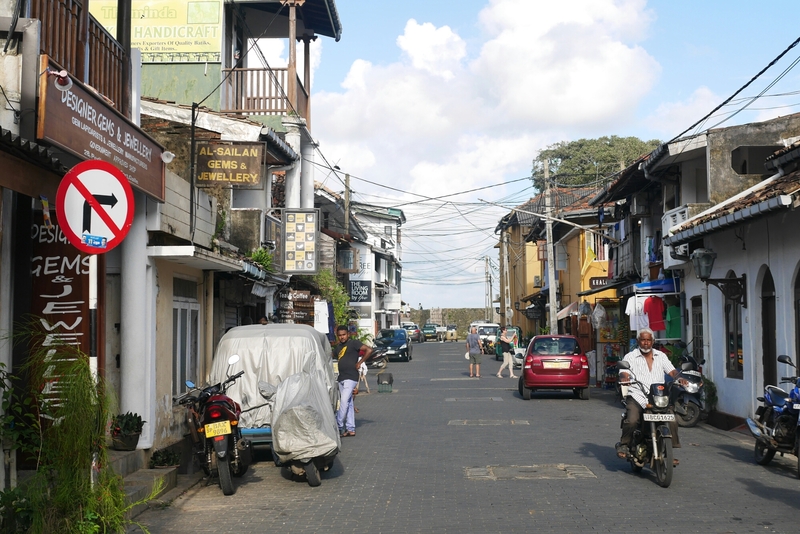 Galle Fort was built by the Dutch and Portuguese over 400 years ago. Staying within the fort felt like being part of a fake city built within an amusement park – it felt magical in a sense. You can see some of the very old buildings which must be at least 200 years old, while some have been renovated but still retain their vintage charm. There isn’t much to see except the beautiful views (sunset) and buildings, but it’s definitely somewhere worth visiting and worth walking around for an afternoon. You definitely should! 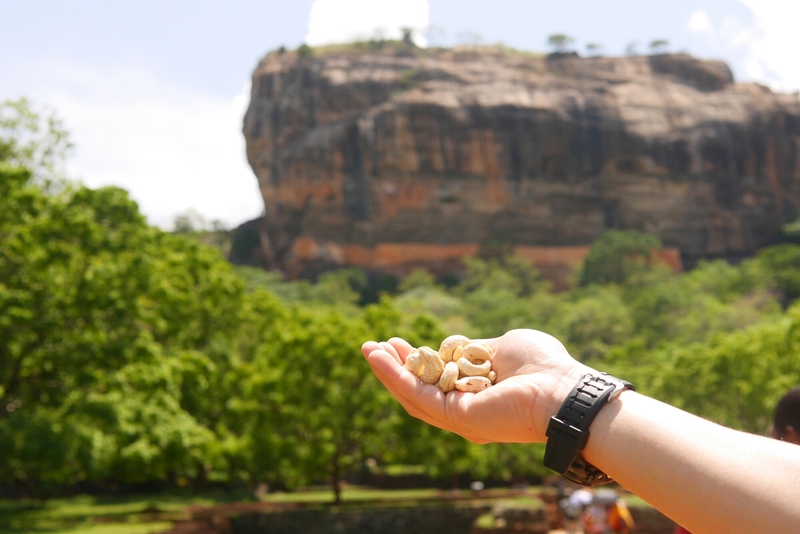 Stay tuned for an upcoming post on the practicalities of when, where and how to travel in Sri Lanka and our itinerary.